Dark tourism involves visiting a country or site that is associated with suffering, violence and death. It’s a term that can be applied to witnessing a historical fact, a fun exhibition about death masks through to consuming a culture’s tragedy as if it were just another box to tick on your holiday-of-a-lifetime itinerary. Here we look at the discussion around when tourism is and isn’t disrespectful. Is there a clear definition of dark tourism? It’s increasingly thought that considerations of tact and taste are being put aside for that photo opportunity at a genocide camp, or a really great anecdote about driving through a war zone. What’s important in the debate is a sense of perspective – whether or not a site has been thoughtfully organised, or does a good enough job of educating visitors responsibly. So with that in mind, here’s a look at some of the contested sites you might think twice about taking a selfie in front of. Should you visit morbid tourist sites? Here are just a few of the tourist sites that have come under discussion in recent years. They are all sites of destruction and death that have been repurposed for paying visitors. Some of these should have been approached with a greater sense of context, and others are universal reminders of humanity’s history. Built on the space left by the World Trade Centre, the 9/11 Memorial Museum, which opened in 2014, has won praise and disapproval alike for its portrayal of a disaster and its impact. It’s been criticised as just another commercial opportunity, with multiple architecture companies vying for the chance to design the memorial, and the design of the museum itself is slick and impersonal. On the other hand, it’s a must-see reminder of very near history. The former Nazi death camp became a memorial in 1947 and a museum in 1955. It’s grown since, and in 2016 attracted a record two million visitors. Entrance to the Auschwitz-Birkenau sites is ‘free’ but you must pay for a guide in order to look around. Overall, the Auschwitz museum is a testament to our capacity to learn from past atrocities. At the site of the 1986 nuclear disaster, there are several tour companies that parade visitors round the exclusion zone and the town left behind, which is otherwise empty. Before you ask, all tourists are scanned for radiation as they leave. In 2011 an earthquake hit the Fukushima region of Japan, triggering a nuclear plant to explode. Now, like at Chernobyl, there are tours available around the site where you can look on the empty houses and destroyed buildings. So you’ve packed your sunscreen and you’ve got a stack of guidebooks you’re never going to read. 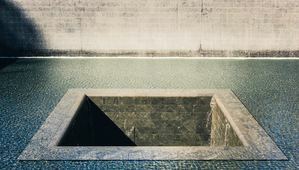 Using everything we’ve learnt about the ethics and grey areas around dark tourism, here’s our pick of sites that carefully deal with history. Demolished by the volcano Mount Vesuvius in AD 79, the site of Pompeii is now a sprawling archaeological site. This museum at the site of a purpose-built castle to hold slaves, one of 40 that served as a prison for people who were about to be shipped off to America, does a great job of outlining a painful and unsettling history in a responsible way. 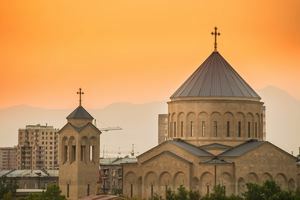 The Armenian Genocide museum in the capital Yerevan is a vast structure that details a country’s historical conflict with Turkey with rigour and passion. The Walled-Off Hotel in Bethlehem is a Banksy creation but its museum packs a great punch. Focusing on the history of the violent conflict between Israel and the West Bank, the Hotel does well to balance its provocative approach with actual thought.